Tian Yu headed Yuneec, a pioneering firm in electric flight. In 2009 his company had several motors and one- and two-seat aircraft flying. They even received certification from the FAA for the two-seat E430 and shipped it to Oshkosh, where it made its public flying debut at that year’s AirVenture. At the 2013 AirVenture, Greenwing, an affiliate of Yuneec, fielded two e-Spyders, which pulled a first with several two-electric-airplane formation flights. Despite being a major supplier of hobby drones and an early developer of powered parachutes, Yuneec seems to have gone into a dormant state, with a new company, AutoFlightX, coming to the forefront. First shown as the BAT600 concept vehicle in 2017 (There seems to be an interim organization shift at the time), the craft was intended to be either hybrid or pure electric, and would have two forward and two rear coaxial positions for eight lifting propellers, one pusher propeller for flight , and a fixed wing. 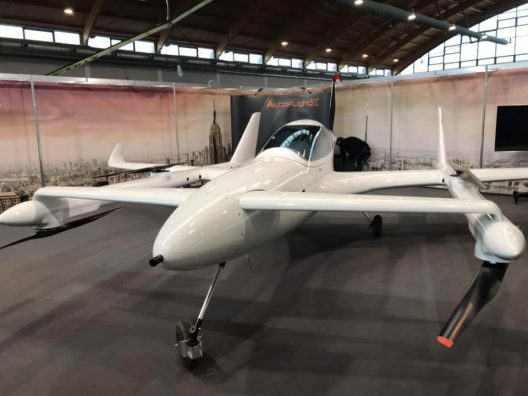 Founded in 2018, AutoFlightX hoped to have a flying prototype by the end of last year. Their current timeline shows they plan on test flights following the recent showing at Aero eFlight Expo in Friedrichshafen, Germany. Renamed the V600, it is now a two-seat VTOL with six lifting propellers and a single pusher propeller to provide forward momentum. Separate hover and wing flight propulsion systems provide “robustness and reliability,” according to the company. The V600 can be qualified under EASA’s (European Union Aviation Safety Agency’s) criteria for ultralights under 600 kilograms (1,320 pounds). 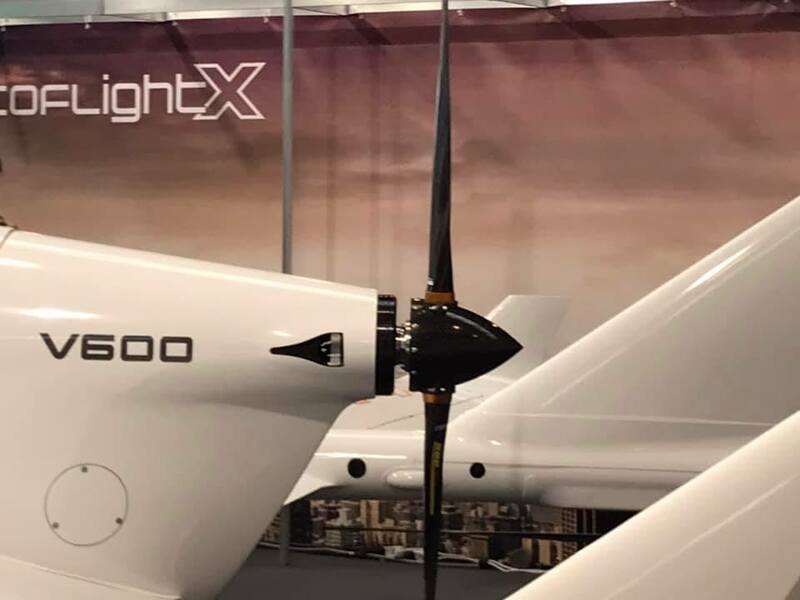 The two-place vehicle on display this week at Aero Friedrichshafen 2019 has six electric motors powering as many propellers for vertical lift capability and then another for a seventh push-propeller for forward flight. Krenmayr says testing on the current small model will enable proof of concept and the safety of the systems – in fixed-wing and VTOL mode. A 2018 announcement explained that AutoFlightX would join Volocopter, Lilium, and Quantum Systems at the new Oberpfaffenhofen eVTOL test facility. Tian Yu, founder of Yuneec and AutoFlightX, established the new firm with a German team including David Löbl. Chief Technology Officer; and Matthias Bittner, Chief Operating Officer. We hope his new operation finds success and ready acceptance in this growing competitive field. Previous post: Faster, Cleaner AND Less Pricey?